Goa is without any doubt the place of sheer wonder and joy. With the expand of shimmery water by the beaches, fine grains of sand slipping through the hands, wide-stretch of coconut and palm trees walling the coastline, crazy nightlife and endless fun, Goa is the perfect destination to relax the soul and get rejuvenated. The significance of Goa does not end here as Goa is home to an innumerable wild animals and lush greenery which makes one mesmerized by the real beauty of the wilderness. 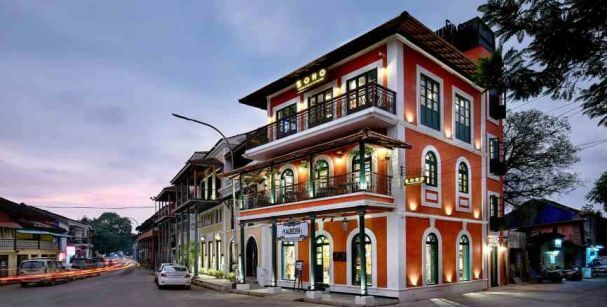 Old-fashioned infrastructures and Portuguese-influenced houses are sure to take you back to the colonial era. Goa is indeed the place to allow your taste buds to savor the flavour some and exclusive Goan cuisines which do not just captivate you by its deliciousness but also lets you experience the real taste of Goan culture. Explore all this and more with our exclusive Goa tours and travels packages. Goa is crowded with loads of national and international travellers every season of the year. Such popularity of Goa fascinates not just the youth society but also the adults and aged ones. Having endless number of beaches, Goa is also full of life as it is the heart of the biggest events and parties taking place every year. On top of it, Goan cuisine is a must to taste once in a lifetime as it offers variety of authentic and Portuguese-influence foods to its visitors. Here, you will get an insight of what all you should do while being in Goa apart from relaxing by the sea. Being so vibrant in nature, Goa is full of adventure, beautiful and vintage monuments, all night partying, clever and cute Dolphins and also legal Gambling.Thus, if you are in the lookout for the cheapest Goa honeymoon packages avail our proficient services and get the best Goa tour packages for couple to make your romantic getaway a memorable and beautiful experience. Goa, being the most famous tourist destination in India, attracts a lot of visitors not just from India but all around the world. Having such an appealing atmosphere, Goa is known for not just the beaches but also for its party environment, daring adventure activities, authentic Goan cuisine and its ancient architecture. In order to seek knowledge of how to travel and experience Goa at its best, we offer you a handy guide. This quick guide will inform you all about the different modes of transportation of reaching Goa and what all you must do except visiting the scenic beaches. In this travel guide, you will get to know the best places to stay in Goa and the authentic Goan dishes that every person in Goa must try. Besides, the best time to visit Goa is also well-described in this Goa travel guide so that you can make your plans according to the best season that suits you. So, avail our services to get the cheap and best Goa tour packages and dive into the most pleasant and joyful time of your life. 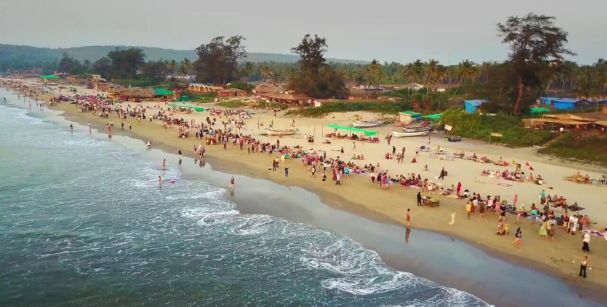 Goa is undoubtedly widely popular all around the world but the prime subject of discussion when somebody says the word ‘Goa’ is none other than the BEACHES. Most of the people have the wrong perception of Goa that it is only famous for beaches and it should be visited only to encounter the serenity of the beaches. 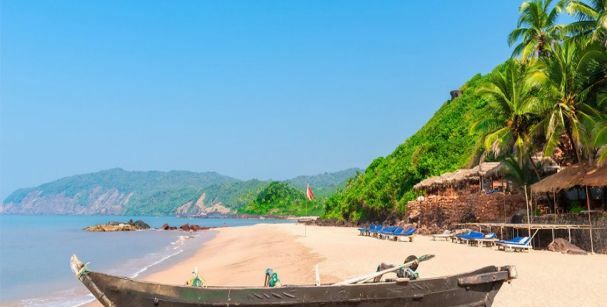 What people are unaware of is that Goa also encompasses numerous other worthy places which are not just beautiful but also have the tendency to make you awestruck. Besides the beaches, Goa is also home to the sight to behold old-fashioned Portuguese-influenced houses, wide-spread flea markets offering the cheapest things ranging from dresses to lip-smacking street foods. 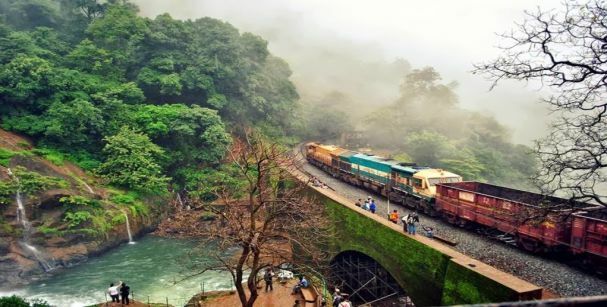 Amazing couple of centuries old infrastructure, captivating nightlife and surprisingly national parks and wildlife sanctuaries are also a huge part of the enchanting Goa. With the purpose of getting the cheapest Goa tour packages, seek the help of our professional services and get various Goa holiday packages to choose from as per your preferences. Goa, being one of the most renowned holiday hubs for all age groups, is also the best place for the romantic couples out there trying to spend some alone time with each other. Goa is popular among youth and the adults because it offers an extensive option to the visitors of how they would like to make their vacation more exciting and unforgettable. The couples however are not behind in living the best days of their life. Some of the beaches in Goa provide the pairs to sit by the sea making their future plans or walk side by side on the beautiful extend of sand leaving the prints of their love behind. Aside from chilling on the seashore, these beaches offer the duos with the opportunity of boosting the essence of their vacation by indulging in daring water sports. If you too want to take your partner on the best romantic escapade, avail our best Goa honeymoon packages and other couple packages at reasonable costs. 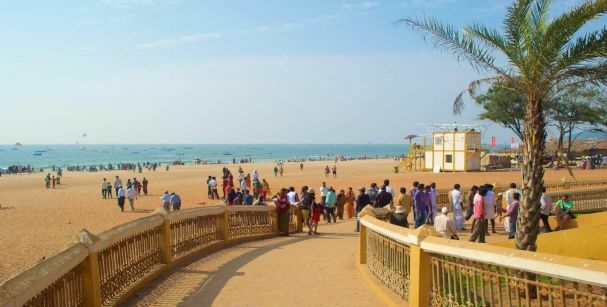 As the majority of the world population sees Goa for its countless number of beaches, one must know the fact that Goa does not only have the beaches to attract the tourists from within and outside the country. There are a wide range of other appealing aspects of visiting Goa such as sightseeing the magnificent archaic monuments, encountering the cheapest and best flea markets, indulging in the most daring adventure activities, partying like there is no tomorrow and trying your luck in numerous kind of Gambling. Apart from adding all these fascinating stuffs on your ‘to-do’ list, the most important part of visiting Goa is to explore the flavourful journey of scrumptious Goan cuisine. 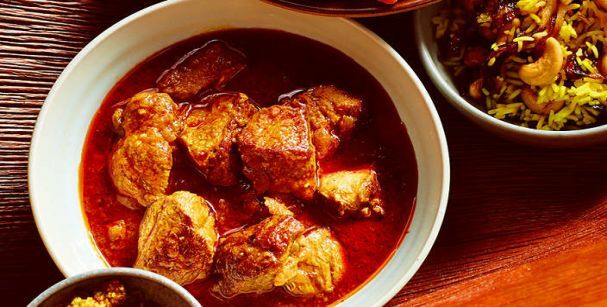 From the basic Goan food Goan Fish Curry to the Portuguese-persuaded dishes Shark Ambot Tik, you will also get to savor on the most famous street foods and desserts of Goa. Hence, to acquire the best budget holiday packages in Goa at the cheapest price, try our expert services and make the most of your Goa vacation without any qualms. Sail at the Goan backwaters and witness the beauty of Goa on a cruise trip. A trip to Goa is incomplete without a cruise. A cruise takes you on a tour of the waters, away from the city, where you can relax. 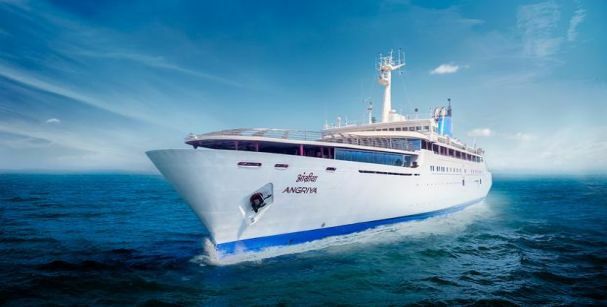 Make your trip to Goa special by picking from the best of cruises that the place has to offer. 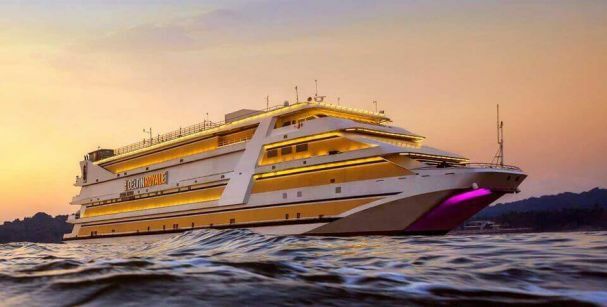 The cruise is one of the highlights of Goa that is sure to revive your senses through a relaxing experience. Dig into some sumptuous Goan cuisine as you enjoy live music in the background. Dine under the stars by picking a luxury dinner cruise and spend some quality time with your loved ones. Not only that, you can experience the culture of Goa with some beautiful dance performances at the cruise. Do not miss the cruise for the world, as you might get lucky and witness some dolphins on the way! So choose from the best Goa budget tour packages and experience the Goa at its best! Goa is not just about the beaches and the Arabian Sea; but has a lot more that needs to be explored. Goa hosts some of the best International events, which are no less than magic. These international events are held annually and attract a huge crowd from all over the world. Vibrant and fun as they are, the yearly events are days long, giving the travel enthusiasts another reason to visit this beautiful state. 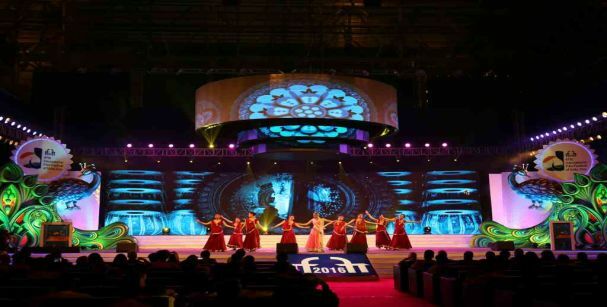 The International Film Festival, the Goa Carnival, the Goa Heritage Festivals are some of the most popular events that people cross the seven seas to attend. These festivals give you an insight about the rich culture and heritage of Goa, which is a beautiful blend of Portuguese and Indian cultures. Delve into this cultural delight by picking from the best Goa holidays package deals and have the time of your life. So visit Goa during the festive season and get ready to experience fun, food and folklore at their best. Attention shopaholics! It is time to stroll down the streets of Goa to grab some of the best items available in its markets. Known for its culture, history and cuisine, Goa comes about as a fun destination, which has something unique for every traveler. So if are crazy about shopping, the markets in Goa are just the perfect shopping hub for you. From flea markets to high end stores, Goa offers you with all the choices. Visit the flea market at Anjuna beach to shop souvenirs, artificial jewellery, musical instruments and footwear. Head to the Mapusa market to find some amazing varieties of fish, pickles, spices and of course the ‘chouricos’ sausages. Visit the Panjim market to grab some cashew nuts, handicrafts and local spices. Head to the calangute market square to buy carpets and trinkets. Do not feel shy to show your bargaining skills at the markets and come back with suitcase filled with memories as well as crazy stuff. Book the best holiday packages for Goa to an unforgettable travel experience. Goa is known for its beaches, its nightlife, its culture and its cuisine. While the place is welcoming throughout the year, it has an off season as well. The off season in Goa brings about a different vibe, giving its wanderers an experience of a lifetime. You can visit some of the very popular beaches in North and South Goa, and experience tranquility due to a low population. 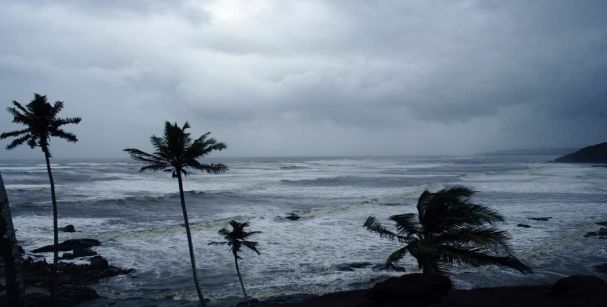 You can also freely ride your rented vehicle on the Goan roads and enjoy the breezy weather. In addition to the beach visits, you can visit some restaurants near those beaches and try some authentic Goan cuisine as well. Not only that, while you book from a range of the available Goa off season packages, you can book a resort at half the price! Visiting Goa in the off season is an entirely different experience that awaits you. If you are looking forward to turn that travel dream of yours into a reality, then wait no more and book from a wide range of Goa monsoon packages. Are you planning for a fun and mesmerizing weekend getaway with your loved ones? Well, Goa brings about the best combination of peace and adventure that no other place does, and hence is perfect for every wanderer out there. The cuisine, the history, and the culture of the place make it worth a couple of visits. If you are visiting Goa, and leaving out the destinations that surround it, then it’s a shame. Explore the best of the places that surround Goa like Hampi, Mahabaleshwar, Bijapur etc and delve into the beauty and serendipity that they exhibit. Beautiful and refreshing as they are, these destinations are no less than a magical abode. Without a doubt, Goa comes about as the most preferred destination when you are looking for a place to ease out your senses. So look for the best Goa beach resort packages and make the best of your travel to Goa and the neighboring destinations. The spellbound beauty of the beach paradise of India makes it the most visited destination throughout the year. The golden sand beaches, the glittering emerald waters, the beer, and the festivals make Goa one of the most relaxing and fun travel spots for all kinds of tourists. Full of surprises, the place has something special for every wanderer and that is what Goa is all about. 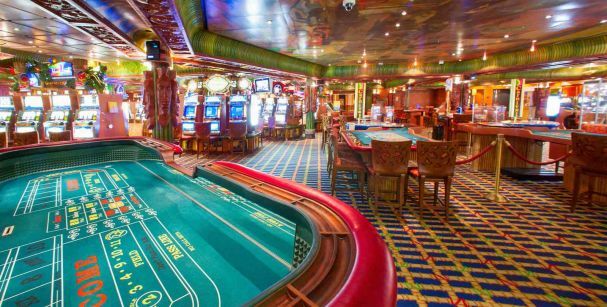 In addition to the culture and the cuisine that the state of Goa exhibits, one element that grabs the attention tourists is: casinos. Games like Roulette, BlackJack, and Rummy dominate these casinos, where hundreds of people stand a chance to win a thousand dollars every day. Not only that, there food and drinks that you can enjoy, with your favorite track playing in the background. The nightlife of Goa has a very special vibe to it, and hence it is a must that you explore what the place has to offer. So book the best of Goa holiday packages, and you never know; you might hit the jackpot! Unleash the party animal in you as you set foot in one of the best nightclubs in Goa. 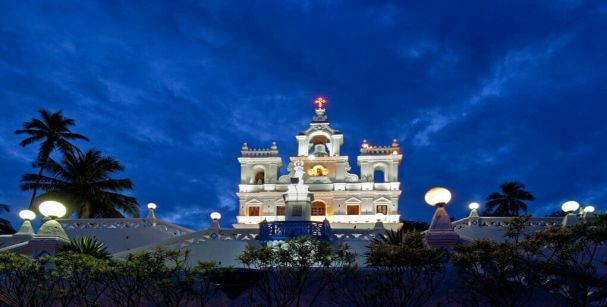 In addition to the beaches, the churches and the cruise, Goa is also known for a vibrant nightlife. 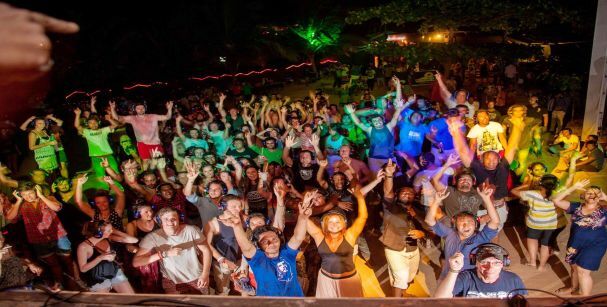 Goa is home to some of the best nightclubs and bars that promise you a happening time. These party houses are scattered all across Goa that serve the best food and drinks and exhibit a party vibe, compelling you to shake a leg. With feet tapping music, contemporary décor and a lively ambiance, these nightclubs invariably bring out the best in you. These clubs offer unlimited drinks for you to enjoy the happy hours, in addition to delicious dishes to dig into. With entry fees as minimal as IN5 500, these clubs allow you to enjoy to the fullest, whether you are alone or with your best friends. When you book from the best Goa beach resort packages, look for the nearby nightclubs and bars to have the time of your lives. Are you planning on a South Goa tour with your friends in the approaching days? Or are you searching for several budget holiday packages in Goa? Well! It does not matter why or when you visit Goa, what matters is how you are going to enjoy the life of Goa. Goa is exceptionally famous among the world travellers due to its serene beaches and crazy nightlife. However, other essential things which attract the national and international travellers to Goa are vintage monuments, thrilling water sports, cheap and vibrant flea markets by the beach, flavorful Goan Cuisines and also old-fashioned Latin houses. However, many people forget that Goa is not limited to all these things but it also offers people with the opportunity to explore the biota of Goa by visiting the most famous Wildlife and Bird Sanctuaries. 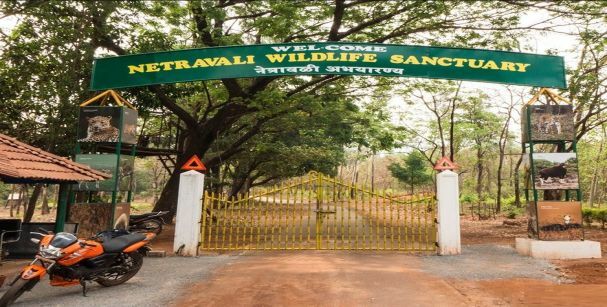 Be it the Bhagwan Mahavir Wildlife Sanctuary or a sanctuary dedicated to only birds of various species, you will get to see the beauty of the wild by stepping into such visually appealing places. Among the fauna, you will also get the opportunity to watch and feel the natural beauty of the flora with the help of tropical evergreen, moist deciduous forests, waterfalls, and other natural creations. In order to get the best deals on Goa packages for family or friends, communicate with us and we will ensure to provide you with the best offers to make your wildlife tour one of the most pleasant and remarkable experience.